It seems there’s a guy selling eBooks on eBay that are compilations of free patterns readily found on the internet. He’s claiming to have obtained publishing rights, but it appears to be mostly — if not wholly — untrue. 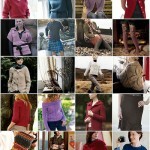 If you’ve published a free pattern you may want to investigate. And if you know someone who has, bring it to their attention too. Here’s a link to all of his listings. 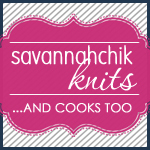 And here’s the original post that started it all, on the LJ Knitting Community Possibly copyright infringement? Unfortunately for this guy, one of Girl From Auntie Jenna’s patterns was included in his Summer Tops compilation. You can read all about her experiences here. Go Jenna! That man should be put out of our misery. 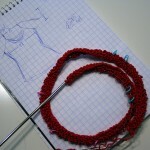 On another topic, you wrote a tutorial at some point about how to bind off the shoulder of a sweater so it doesn’t look so much like a staircase, and more like a fluid line. I really hope you know what I am referring to and can help me find such a post. This is pretty crazy! From Jenna’s post it seems that this guy is completely clueless about copyright laws! I’ve been following Jenna’s tale. Grrrr.